When you need something a little different for your next barbecue or potluck, look no further than this Italian Sausage Pasta Salad. The marinated mushrooms and olives really take this to another level! 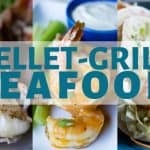 I am so excited for official summer grilling season to kick off! 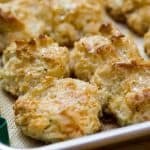 So excited, in fact – that I’m jumping the gun a little early and getting those side dishes going right now. Pasta salads are some of my VERY FAVORITE things to eat during the summer. 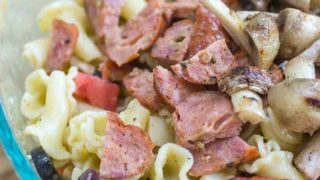 We threw these sausages on the grill and gave them a little char, chopped them up, and mixed them right into this awesome pasta salad. My whole family really enjoyed them! The sausage really complimented this dish perfectly. 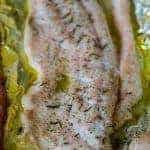 Great big Italian flavors! 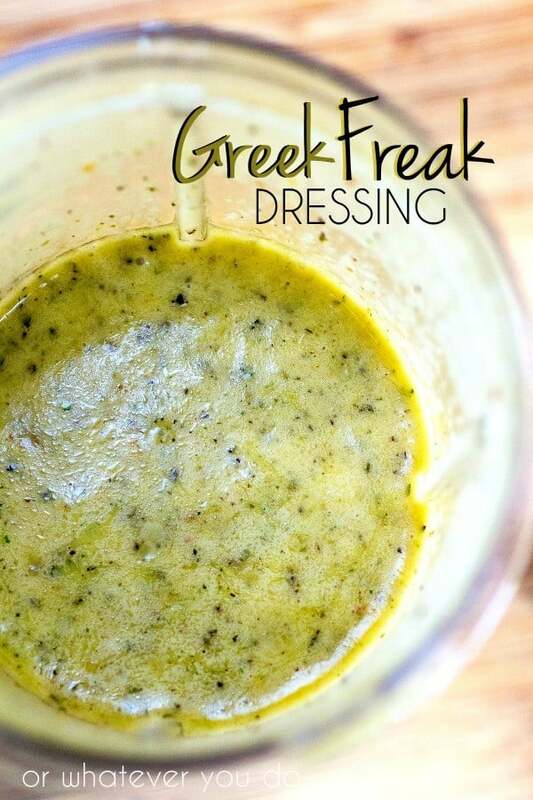 You can use your favorite Italian dressing or vinaigrette, or you can whip up my Greek Freak Dressing. 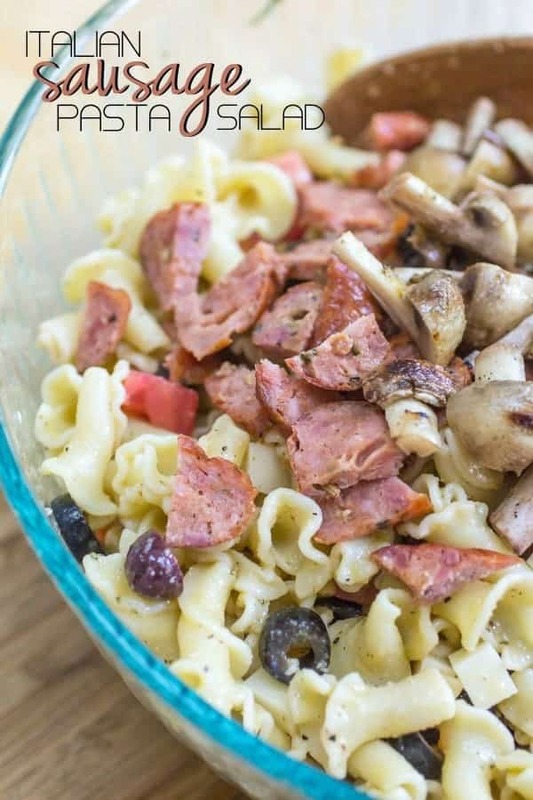 This delicious pasta salad is packed full of sausage, marinated olives and mushrooms, and big bold flavor! 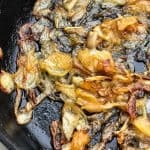 Wipe mushrooms clean, and place in a small dish or plastic baggie with the diced tomatoes and with about 1/2 cup dressing to marinate. 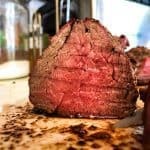 Preheat grill or grill pan to medium high. Quickly sear sausages until heated through and outsides have nice char marks on them. Let the sausage cool, and cut up the sausage into bite-sized pieces. Place the mushrooms on a skewer (or a couple skewers, if necessary), and quickly sear on the grill. 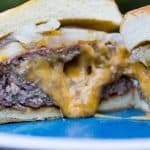 You just want a little heat on these, and some grill marks. We aren't aiming to fully cook these. Slice the mushrooms in half, and set aside. 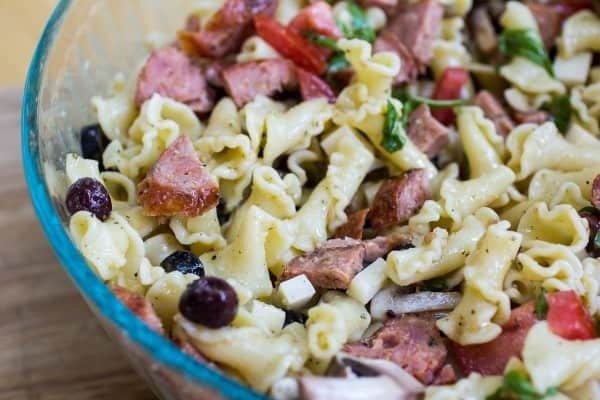 Combine the pasta, cheese, olives, basil, mushrooms, sausage, tomatoes and the desired amount of dressing (reserve about 1/4 - 1/3 cup for dressing immediately before serving.) 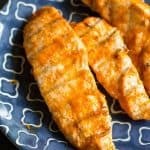 Stir to coat everything evenly, and chill for 1-2 hours before serving.